What Is the Fastest Way to Drop a Size in Jeans? 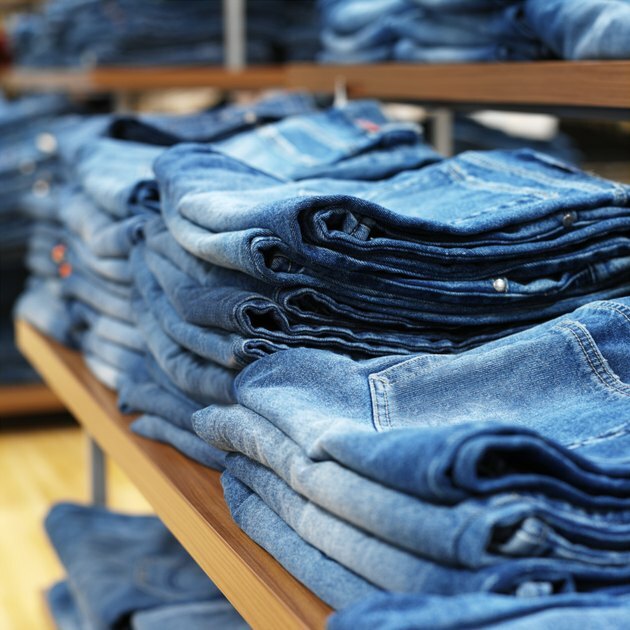 In order to drop a jean size, you must be able to drop excess body fat. While you need to lose weight in your hips, thighs and midsection to be able to squeeze into a smaller pair of jeans, there is no way to lose weight in those areas only. If you want to drop a jean size, then you need to lose weight and body fat all over, not just in those preferred areas. If you want to lose body fat, then you are going to need to lose weight all over. In order to lose a pound, you need to burn 3,500 calories beyond what your normal caloric intake is. This can easily be done by reducing your calories consumed through diet as well as burning calories off with exercise. Too few calories can have a negative effect on your body however, stalling your weight loss and slowing your metabolism down, so it is important to maintain a healthy amount of calories a day to keep your body functioning properly. In order to keep your body from going into starvation mode, cut your calories only by 500 a day unless otherwise directed by a doctor. Changing your diet is one of the best ways to drop a jean size. Opt for whole grains, lean proteins, low fat dairy, and plenty of fruits and vegetables in your diet. Depending on your lifestyle, try to eat five to six small meals a day to keep your metabolism firing and your cravings at bay. 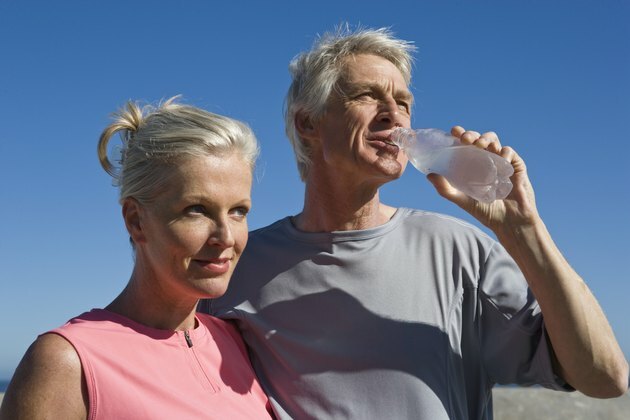 Sipping on water throughout the day is another way to keep your body hydrated as well as satisfied. When you feel a craving or snack attack coming on, sip on some water for 15 minutes before giving in to make sure you aren't mistaking thirst for hunger. Cardiovascular exercise can help you to burn off excess calories and help get you into a smaller pair of jeans. While a slow and steady cardio workout will burn calories as well as improve your heart health, it won't do much to change your body. 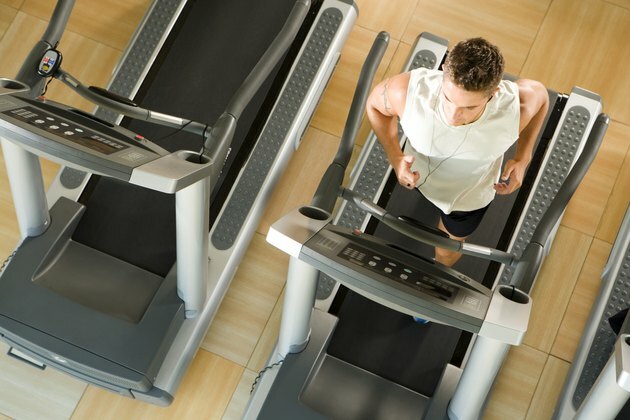 Higher intensity cardio is the best way to burn off a load of calories in a shorter amount of time. Performing cardio exercise at a higher intensity also keeps your body's metabolism firing well after you have finished your workout, burning off more calories throughout the day than steady state cardio does. Strength training helps to build lean muscle. This lean muscle is a key component to losing weight in that it helps to increase your metabolism and burn calories. Also, lean muscle looks different than body fat does, so while the number on the scale might not change, your jean size will. Muscle burns more calories than fat does, and as you increase the amount of lean muscle in your body and decrease the amount of body fat, your resting metabolism will increase, helping you to burn more calories even when you are sitting on your couch.